Chia seeds come from the Salvia hispanica plant that is native of México. High in complete protein, omega-3 fatty acids, antioxidants, phosphorus, manganese, calcium, potassium and soluble fiber, chia seeds are a superstar food for high energy endurance sports! 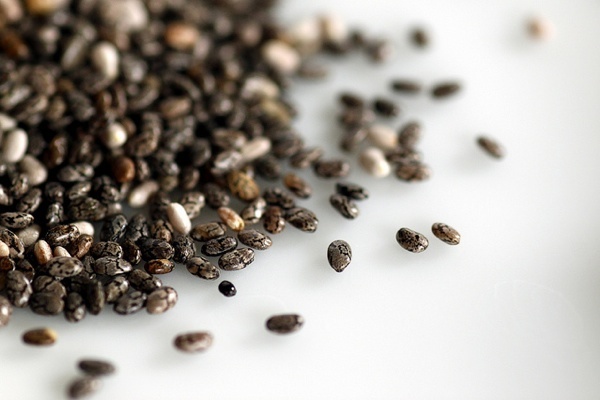 A very special characteristic of chia seeds is it’s hydrophilic property. If you were to place a spoonful of chia seeds in a glass of water, after a few minutes the whole content would have a gelatinous texture. This is in part due to the high content of soluble fiber in the seed that traps moisture: a seed can absorb up to 12 times it’s weight in water and this way, provide prolonged hydration in the body. Besides this, in the stomach, this gelatinous matter helps to slow down considerably the breaking down of carbohydrates, which results in a slow, long term delivery of energy and nutrients that won’t create a high or a low in blood sugar levels. So you have one of the highest sources of antioxidants, packed with easy to assimilate complete protein, omega-3 fatty acids, an excellent source of essential minerals, that will provide you with prolonged energy and hydration?! N I N J A .